Who wants to add a sneaky, healthy kick to their recipes? I know I do! I am always aiming to sneak little healthy kicks into all my recipes. I have been doing this for a while, but I only recently started it on the blog. Many of you noticed and wanted to know what all the hullabaloo was about these "super add ons" I use in my cooking. Well I am here to share what they are, what I use them in, and where I get them from. Flax seed is fully loaded when it comes to fiber and Omega-3 essential fatty acids. It helps your digestive system to regulate and work better. Flax seed may also help lower blood cholesterol and can help reduce your risk of heart disease. I add flax seed to literally EVERYTHING. My sauces, smoothies, chili, all baked goods, oatmeal, and anything else I can sneak it into. I buy it in bulk from Winco's bulk food section. It can be found in your local grocery store in the baking section or health food section. 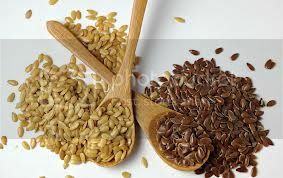 I purchase ground flaxseed, since it can absorb into your body more quickly than the whole flax seeds. Bran is the it factor when it comes to adding more fiber into your diet. By adding 1-2 tablespoons to your cereal, oatmeal, yogurt, sauces, or baked goods, you will be upping your daily fiber intake considerably. Fiber slows the rate that sugar is absorbed into the bloodstream. This keeps glucose levels from rising to quickly. Fiber makes your intestines move faster and actually cleans you out as it works through your system. Oh and it keeps you regular if know what I mean. I purchase my bran in bulk from Winco for way cheap. You may remember these seeds from the popular Chia Pets, but these seeds are making a comeback in the kitchen. These little black seeds are packed with nutrients. 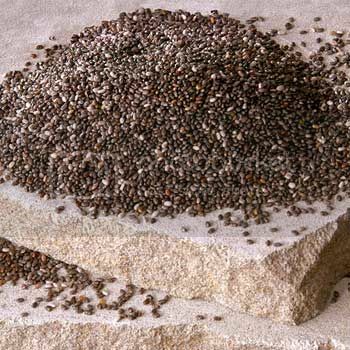 Like flax seed, chia seeds are rich in omega-3 fatty acids. They also have antioxidants, protein, and fiber. We throw chia seeds into our smoothies, cookies, and sprinkle it over yogurt. I usually use about one tablespoon when I add it to my recipes. I purchase my chia seeds from Whole Foods. They are a bit more expensive than my other healthy kicks, but they are very worth it. In many of my new recipes this year, like my black bean chili, I have mentioned adding nutritional yeast to them. 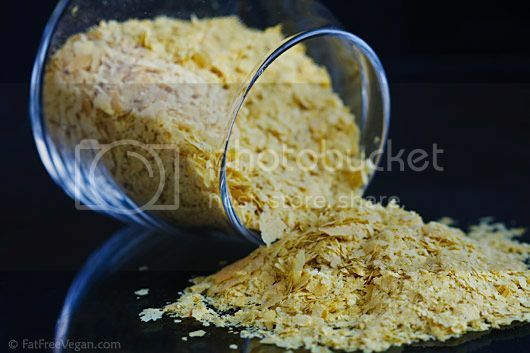 Nutritional Yeast is quite a gem when it comes to adding a healthy punch to your everyday recipes. Nutritional yeast is packed with a ton of healthy goodness, particularly B-vitamins, folic acid, selenium, zinc, and protein. It’s low in fat and gluten-free. It is great as a substitute for cheese on popcorn, mac n' cheese, and with eggs. It is a low-fat alternative to using cheese. It can be baked or thrown into smoothies. I typically add 1-2 tablespoons into our smoothies, our chili, our rolls, and sauces. I purchase my nutritional yeast from Winco in their bulk food section. Giving your meals an added nutritious kick does not have to be hard. By picking one or two of these add ons, you will be arming your family with the nutrients they need to live happy, healthy lives. As with all my tips, start off small. Pick one thing and try it out. See how it works for your family. I didn't start all these things at once. I started off slow and learned. I am still learning everyday. I am constantly learning, growing, and sharing on this blog. I am always thankful for your continued support and sweet comments. If you have some other healthy ways to add goodness to your recipes, share in the comments. I would love to hear what you guys and gals do. I have a little Blissful Exchange taking place on the Blissful and Domestic Facebook page. The topic is green cleaning. Come and give your two cents ladies and gents. Great post! I think I'll start with the purees. I am no longer on FB (and it is AMAZING! ), but as far as green cleaning....three things-vinegar,essential oils and baking soda. Must haves for me! Thanks so much Tasha. We love essential oils as well. We put a few drops into a small pot of water. Allow it to boil on the stove and you get an air freshener. It works great! I buy a bag of flax seeds and I have a coffee mill that I use to grind my seeds on demand the rest is stored in the freezer. How much flax seed do you normally add to things? For example, how much would you add to a smoothie versus a big pot of sauce or a loaf of bread? How much flax seed do you add to things? I know it's different with say, a smoothie, or a big pot of chili or sauce, or a loaf of bread. I'm looking to "hide" healthy stuff in meals for my hubs. Thanks! 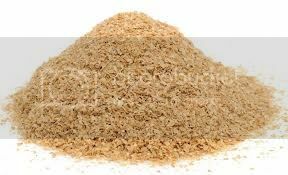 For your pancake mix how about subbing half the flour with whole wheat... just a little bit healthier and just as tasty. And if you want buttermilk just sub powdered butter milk for the non-fat milk. I don't put milk in my mix I use the milk as my wet ingredient. Absolutely. I do that too:> Great idea. I blend up spinach (with a bit of water) and freeze them in ice cubes. Then I add them to smoothies or throw a couple of cubes into a soup or sauce. You can't even tell! That is a stellar idea. Love it! I am totally sneaky too. I sometimes add pumpkin purée to my chili. It's an interesting mix. And I have made Fake Potato Soup with cauliflower instead of potatoes. It's surprisingly good. Try grinding your flax seeds fresh so that you don't lose the nutrition. Also try freezing your spinach. After frozen they are just like potato chips and then throw them into your smoothies. 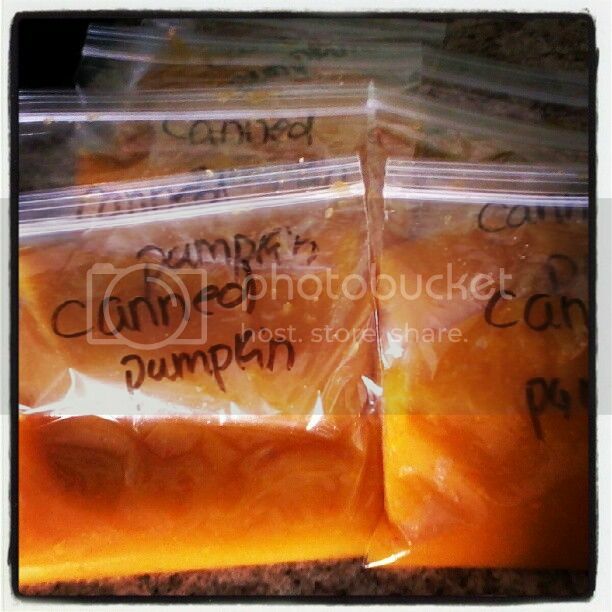 In this way you can buy huge bags at Costco and you can add them to your recipes. hi there! i had a basic question. you said you add flax, chia, and bran to smoothies, breads, sauces, etc. Do you add ALL of them to it. Or just one of them. i just found an amazing recipe for muffins (using whole wheat, carrots, zucchini, coconut, nuts, and coconut) and wanted to add a fiber kick to it. but didnt want to use ALL of them together if that would be too much fiber for my kids in one setting. would that be overkill, or do you use 1 tbsp of each for a set of 36 mini- muffins??? and smoothies- do you add a scoop of EACH or just one?? I always use at least one and sometimes I use all of them. I would say if your family isn't use to the extra fiber you might want to ease them into ya know? Maybe just pick one and try it out. hi there! read that you use flax, chia, and bran. Is that ALL TOGETHER or just one per item?? If you made a smoothie- do you add 1 tbsp of EACH to it, or if i were making the kids healthy mini-muffins (36 in a batch) would you add 1 tbsp of EACH to it or just one of them (flax or bran i guess?) . didnt want to overload the kids with it. dont want to upset their stomachs with too much. Thanks and just found your blog....INSANELY HELPFUL!!!!!!!!!!!!!!!! keep it up momma!